I feel as though there have been a lot of babies in my life lately. Reflecting on this reminds me that with babies come baby showers, and with baby showers come blog post content. So, as a treat, here's something short and sweet and super late to be blogged--over a year, to be inexact. Life doesn't always get blogged the way I think it might. And you know what? Sometimes life doesn't even get lived out the way I think it might. Once in awhile (sometimes more often), either life or your budget slips out of your control, and the extravagant themed-to-the-extreme baby shower you envisioned just isn't possible. But there's no reason it can't still be cute! I've seen plenty of "from our shower to yours" themed favours online--usually involving a louffa or some sort of luxurious bath product. However. I was on a tight budget, with tight turnaround time. So, I hit up the classic ivory soap in its innocuous packaging and paired it with a washcloth and a tag. Done. $3.50 for 10 bars of soap, and a package of 5 facecloths for $3. That's $.95 each, folks. "On the Cheap" is an understatement, but accurate nonetheless. And, look! The colours are matchy matchy with the guest book--which was matchy matchy with the balloons and plates and decor. Let's just call it a win. Make however many you need! Handwrite or type out/print your tagline on your cardstock. Using either scissors or your paper punch, cut out small tags from the cardstock. Place the cloth on top of the soap and secure the two with tape or twine. Attach the tag. You're done! Not bad for 95 cents, amiright?! 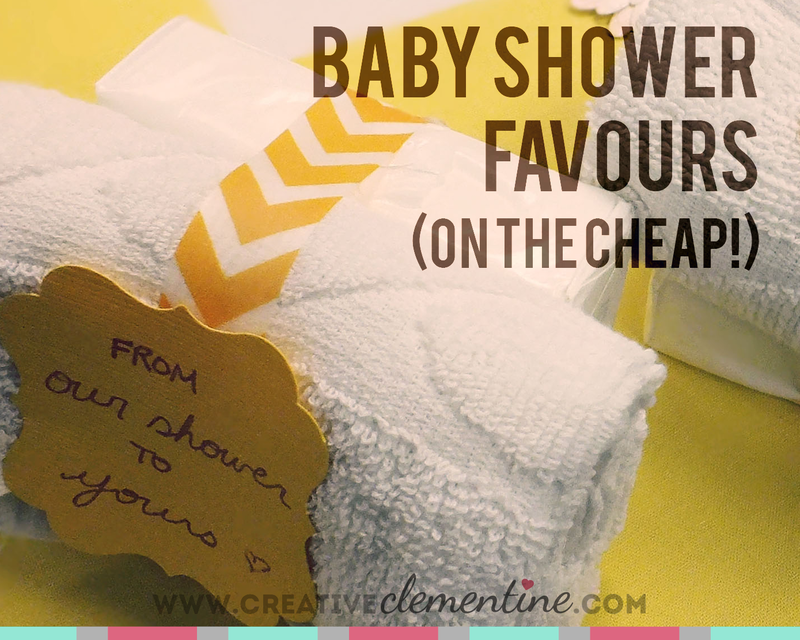 I am envisioning me, in my old age, attending an extravagant event and spouting out, "back in my day, I could make a baby shower favour for under a dollar...."
Yeah... I'm gonna be a weird ol' bag lady. Looking forward to it. 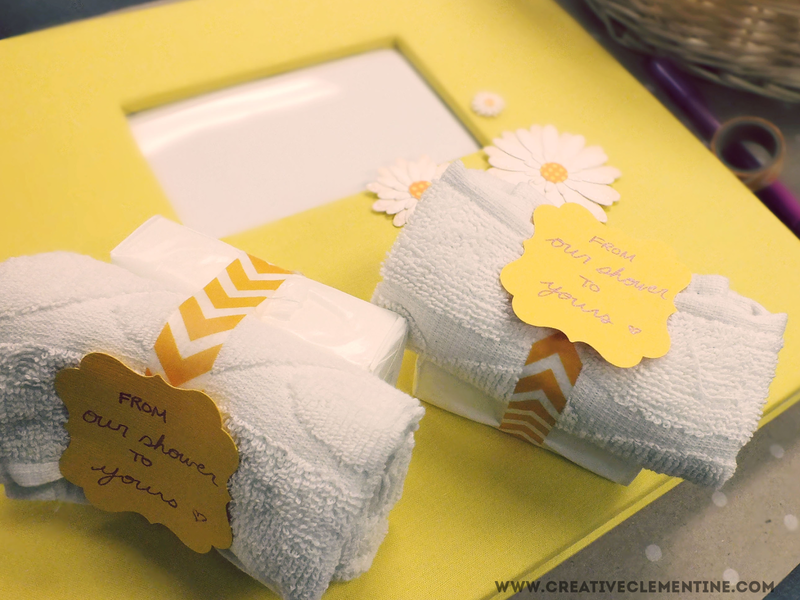 Great budget friendly idea for baby shower favors. Thanks for sharing on Merry Monday. Thanks for dropping in--always happy to link up! :) Happy New Year! What an adorable gift idea. So simple and cute. Thanks for sharing at Talented Tuesday Link Party!